"Steel" represents a wide variety of alloys. 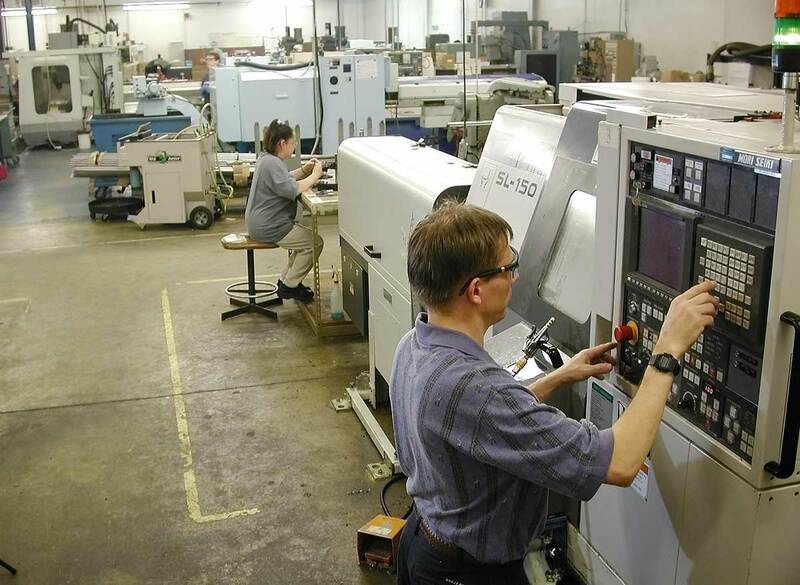 AT Precision has machined most of the steel alloys and has accumulated an extensive library of steel machining cutting speeds and feeds that maximize our steel machining output, leading to lower machining costs. Because we understand the different alloys so well, we can make recommendations for better steel machining grades without sacrificing cost or performance. These steel alloys include A36, 1018, 1117 and 1215. Low carbon steel machining is fairly easy and can be made even easier by adding lead to the alloy (such as 11L17 or 12L14). Most of these alloys can be case hardened if needed. If greater strength is required, medium carbon steel might be a better choice for your steel machining project. These steel alloys include 1040, 1045, 1141 and 1144. Medium carbon steel machining can be a little more difficult to machine, but offers greater strength than the low carbon steel alloys. Another advantage of these steel alloys is that they can be directly hardened to achieve a deeper hardness. These include both low carbon & medium carbon steels. Steel alloys such as 8620 (low carbon) and 4140 & 4340 (medium carbon) offer a better combination of strength, toughness, and hardness. Alloy steel machining can be more difficult to machine, so choose your steel machining company with care! For steel machining pricing, please share details about your project with us. We will provide a no-obligation quotation as quickly as possible.